In case you didn’t get a chance to see it person, UAPB-TV (University at Arkansas-Pine Bluff) has published video reply of the football team’s entire game against Jackson State played last Saturday at Golden Lions Stadium in Pine Bluff, Ark. 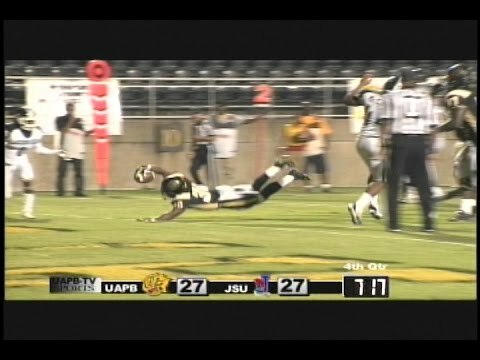 UAPB lost to Jackson State 33-30 in an overtime thriller. The final box score is below.